A brief knock on the door. I peek outside and see a well dressed guy in sunglasses, black slacks, white shirt and a tie holding a briefcase. I quickly usher him inside. Agent Snickerdoodle has arrived with my special delivery and I’ve been waiting all night for it to arrive. What’s in the briefcase that could be so important? 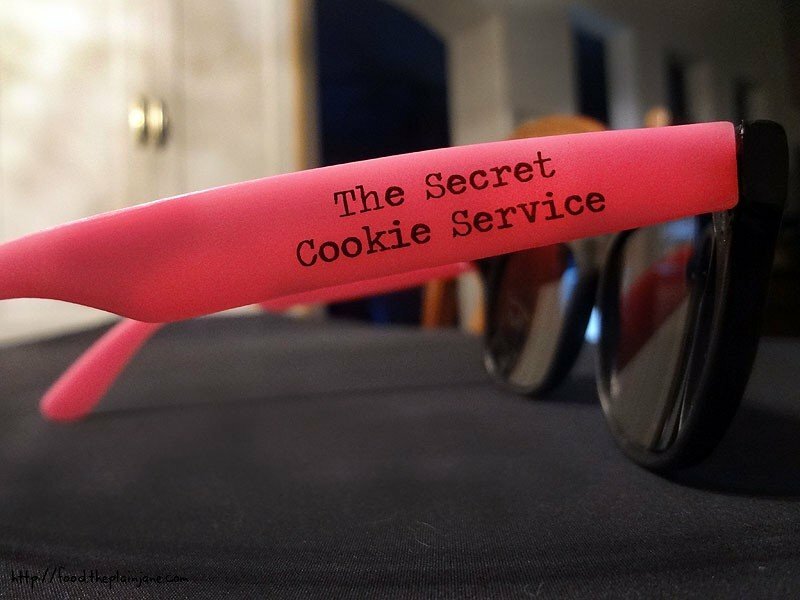 The Secret Cookie Service has been in operation since September 2011, delivering late night cookie treats to the students at UCSD. 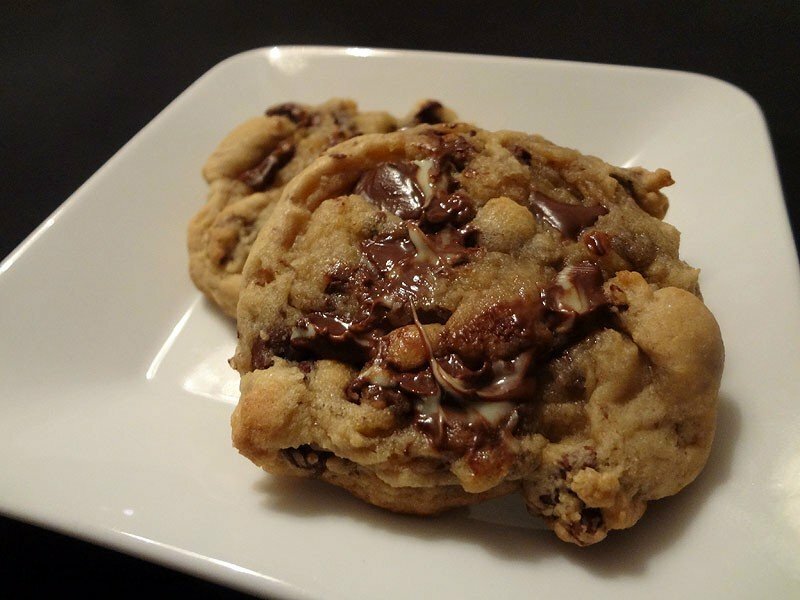 The service has recently expanded to deliver to nearby neighborhoods and has recently set up shop so the students at SDSU don’t miss out on any of the cookie service goodness. While they are mainly an at-night service, placing an order 24 hours in advance can net you a daytime delivery if you don’t live the vampire — or student — lifestyle. 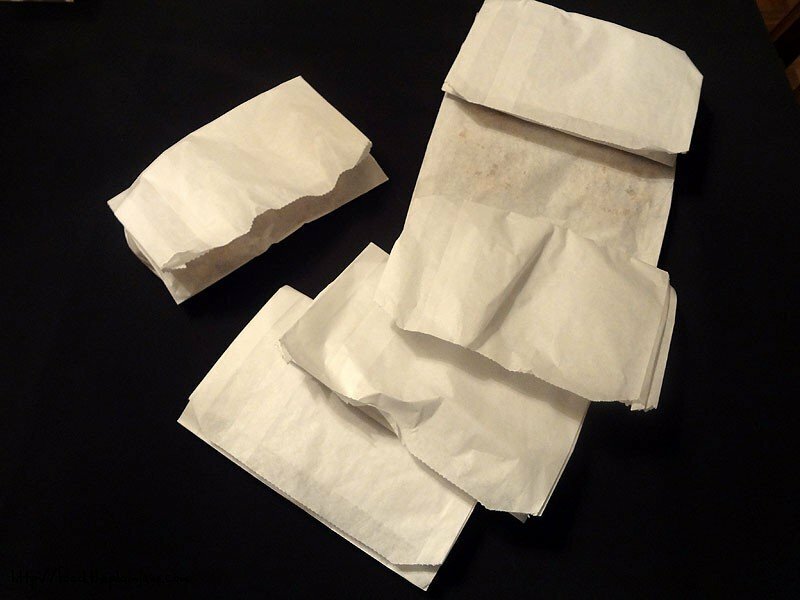 Agent Snickerdoodle, after passing a screening from my dog, Maya, handed me this seemingly plain brown paper bag that contained what I’d been jonesing for all night. I couldn’t wait to dig in and try out this stash! These random looking white bags are not really random at all. For they contain delicious treats. 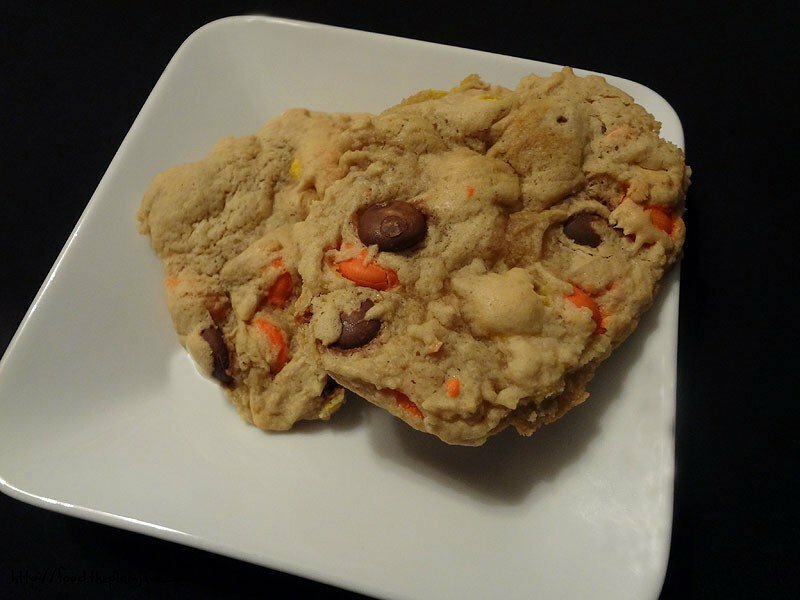 These aren’t peanut butter cookies per se, but they are loaded with Reese’s Pieces, one of my very favorite candies. There’s a sweet peanut butter flavor from the candy but the cookie itself is just a base for holding the pieces. There’s a good candy to cookie ratio here – I got a Reese’s Pieces in nearly every bite. The cookies are very soft and chewy. My second favorite of the bunch. The mint chocolate chips were still kind of melty and sticking to the white envelope. The nice thing about that is that it let me know the cookies were baked fresh very, very recently and I love when chips are partially melted still. That’s the best part of warm cookies! These were quite soft and had a good minty-chocolate flavor. Agent Snickerdoodle informed me that this is one of their best selling cookies and I could definitely see why. The other thing I love about these cookies is that they are not uniform looking. Each cookie is roughly the same size but the shape differs a little. Baked with misshapen love, I tell ya. 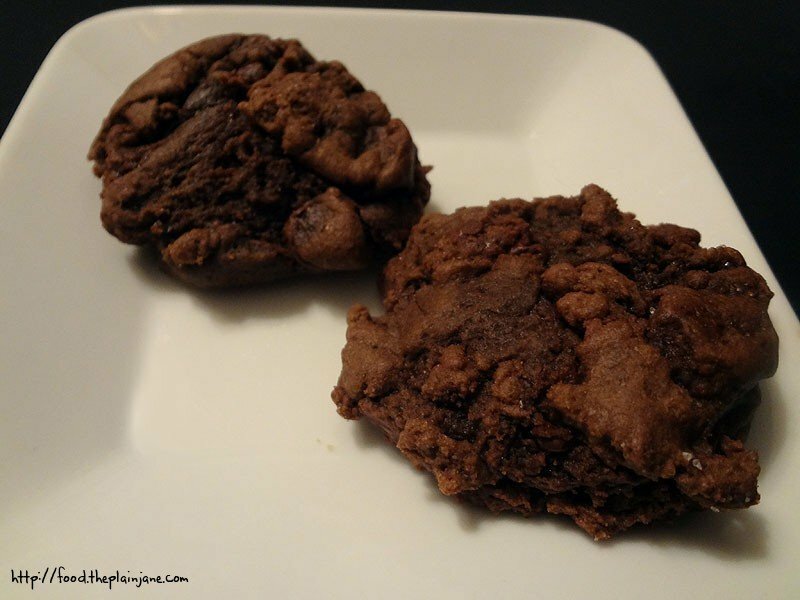 These are the Chocolate Brownie cookies – which are just as rich as you would imagine they would be. It’s an intense chocolate flavor and these cookies were a little denser and did remind me a bit of the texture of a brownie. There are chocolate chips thrown into the mix as well pumping up the chocolate flavor and just a hint of salt. These were very soft and indulgent. Excellent choice for the chocolate lover in you. The cookies n cream were probably my least favorite of the bunch. Still a nice, solid, soft cookie but the flavor just didn’t do much for me. I could see the cookie bits in there, but the flavor of it was a little lost to me. These were quite a bit chewier than the other cookies I sampled and not as “melt in your mouth” as the others. Hey, I’d still totally eat it though. I’m not that picky. 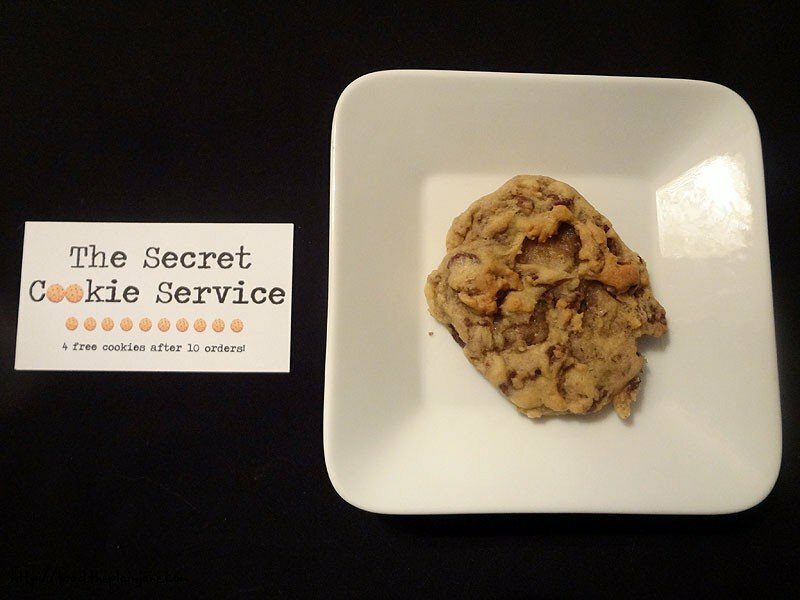 The original, and best seller at the Secret Cookie Service, is the chocolate chip cookie. 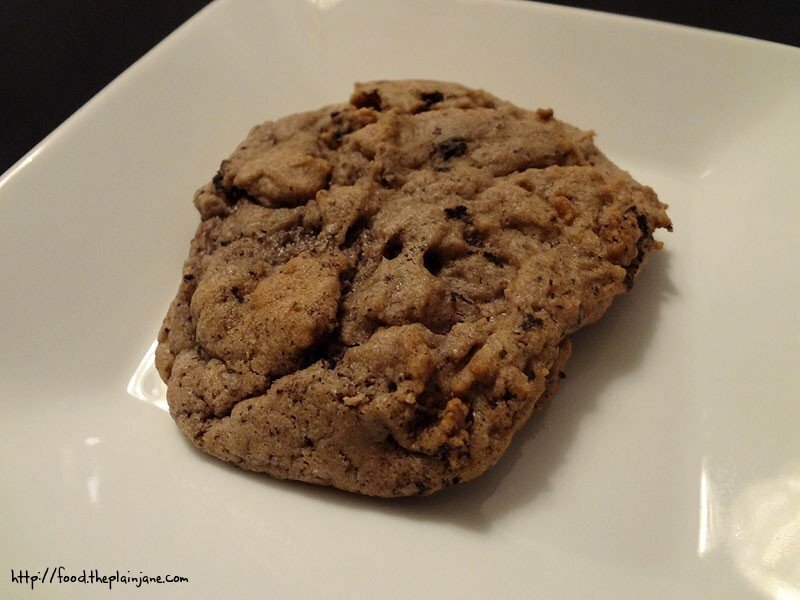 Developed by the founder’s mom, this the cookie that he grew up eating throughout his childhood. I was quite impressed with this little number. Again, very soft cookie (if you’re looking for crispy cookies you must look elsewhere, my friends) and very high on the chip to cookie ratio. 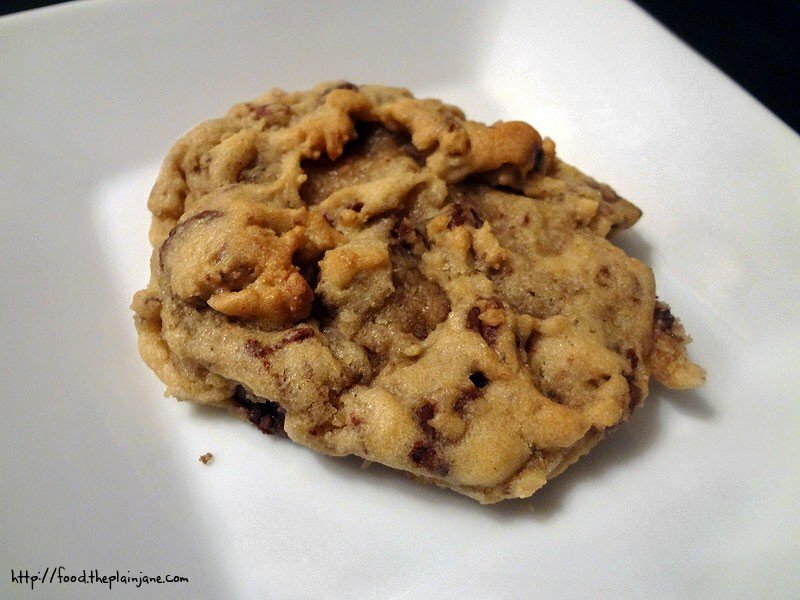 Just looking at these cookies you can instantly see how packed it is, making for a gooey melt-in-your-mouth cookie. The other thing I really liked about it was that the cookie itself wasn’t overly sweet, letting the chocolate flavor shine. My favorite of the bunch! 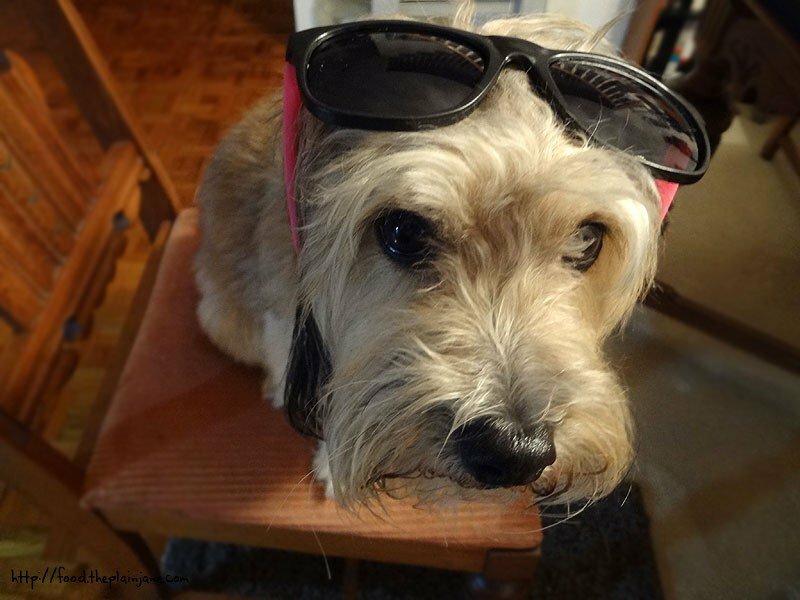 Agent Snickerdoodle graced me with a pair of sunglasses and since I’m camera shy, I got Maya to model them for me. Isn’t she such a good dog? 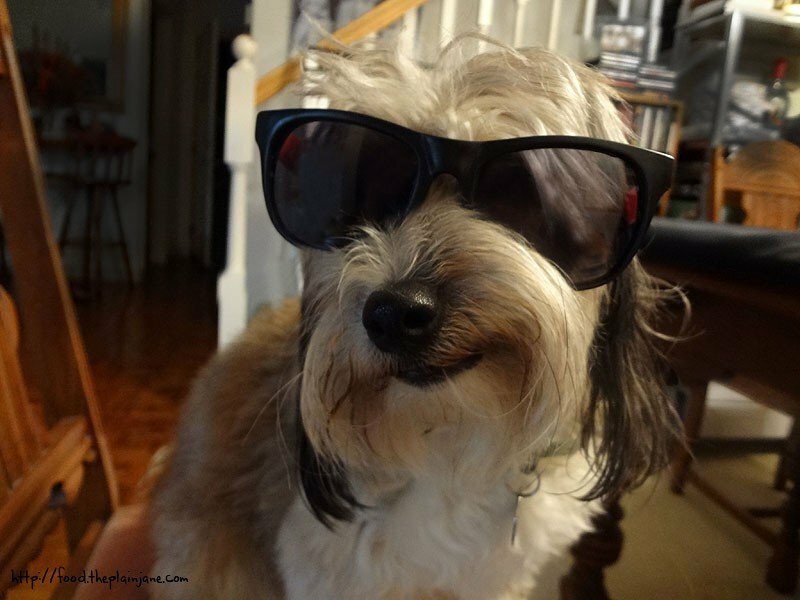 Maya is hoping that one day the Secret Cookie Service will be able to hook her up with some dog cookies as well. 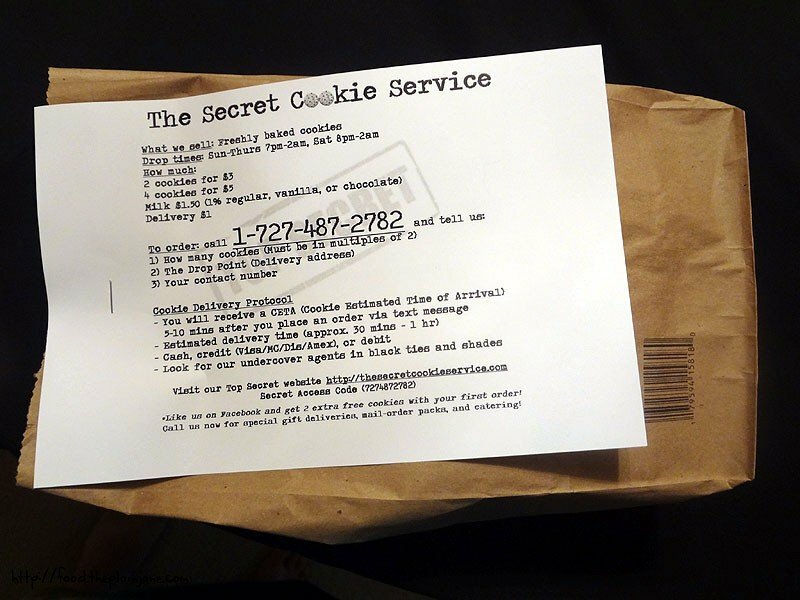 Some of the other rotating flavors at the Secret Cookie Service are M&M, Oatmeal Raisin and (of course) Snickerdoodle. You can always click on the “Order Now” button on the website to check out what cookies they are offering on any given night. Cookies are ordered in pairs starting at $3 + delivery. You can even get milk with your order! If you need a cookie hookup and you’re around UCSD/La Jolla, place your order at 727-487-2782. If you’re in the College Area/La Mesa/SDSU hood, texting or calling 619-356-8502 will get those delicious cookies to your mouth pronto. Follow the website instructions and you’ll be that much closer to getting these snacks into your mouth. YUM! Text or call in your order for delivery! 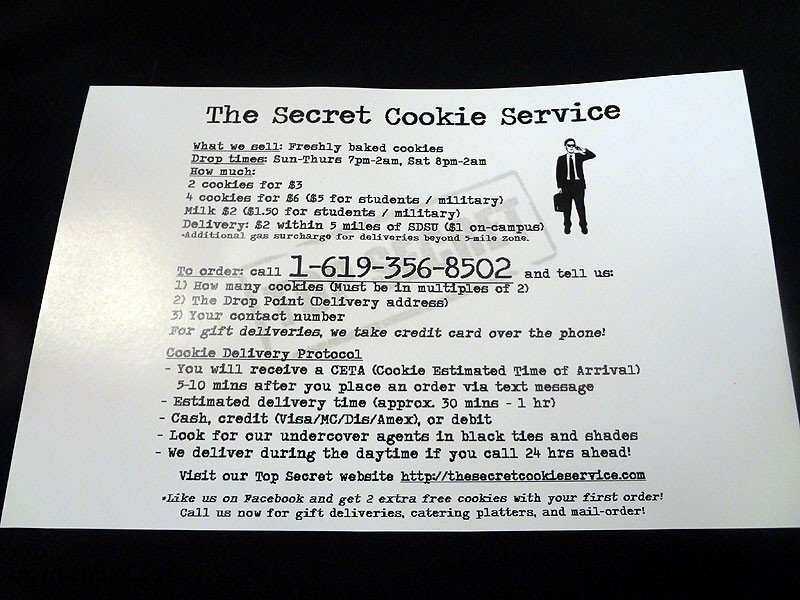 Disclaimer: I was provided complimentary cookies by Agent Snickerdoodle of the Secret Cookie Service. All opinions are entirely my own. Gah – I am too far from their delivery windown at home or at work! The thought of a warm, melty cookie delivery is fantastic, though. And Maya is a fabulous model! I think I saw a Groupon for this recently. Last month? I was about to buy it but thought better but now I’m kicking myself. Looks so good! Good article, I can attest the cookies are very good, much better that Mrs. Fields.